Building test environments should be easy — not just simple if it’s a simple configuration, or simple for experienced IT. When on-premise infrastructure, legacy code, and new projects are involved, building and testing becomes complicated. Thankfully, CloudShare and its users have been solving these problems for a long time. Each week, CloudShare’s solutions team and inquisitive users discuss their solutions in a weekly webinar. Together, we cover topics like synching on-premise networks and the cloud, simple methods for (moving closer to) continuous integration, and more. Can I work in secure offline setting with a CloudShare environment? Can I connect to an on-premise network and it’s directories? We want to move to nightly builds, how can you help? How can my work be moved to a production environment? Read below to learn about this week’s topic: “hybrid clouds”. 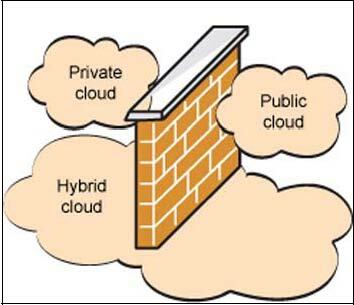 The vogue term for features that bridge the gap between on-premise and public cloud is “hybrid cloud”. To CloudShare users, this is old news: whether it means setting up a point-to-point VPN to “Bring the Power of CloudShare to Your Network”, or automating dev/test cycles so that testing extends from on-premise build servers into the cloud, CloudShare users have been building “hybrid clouds” for a while. In this week’s webinar, we discussed another, more basic “hybrid” scenario: importing and exporting environments to CloudShare. Exporting and then migrating to production. Join us each week – Register Here! – as we discuss more ways the community has found to leverage CloudShare!